Highly adaptive, intelligent and capable of eating pretty much anything, pigs are one of the real survivors of the animal kingdom. 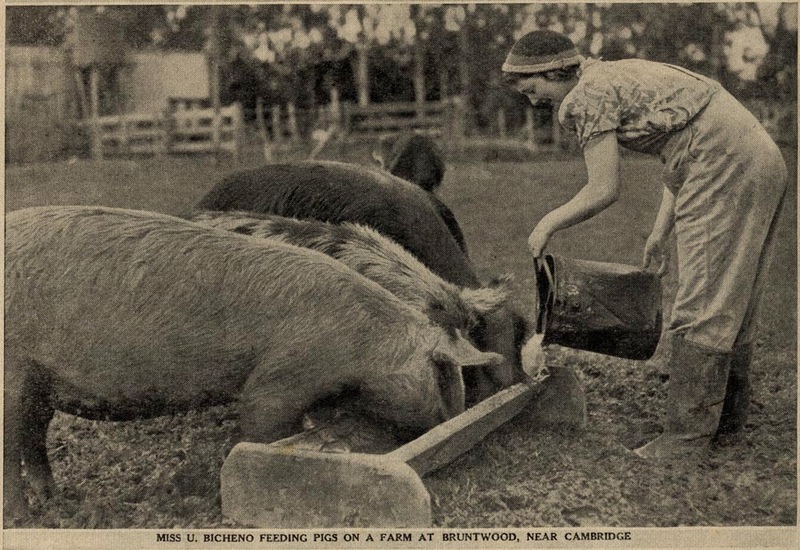 Pigs have long been domesticated by humans and this close relationship is evident in the number of sayings in the English language, which relate to pigs - most of which are not very flattering to the poor pig! These idioms, many of which are seen as clichés, include: 'fat as a pig', 'making a pig of oneself', 'pig in a poke', 'happy as a pig in mud', 'road hog', 'porky pies'. Expressions about pigs are also found in other countries around the world including Europe and Africa. 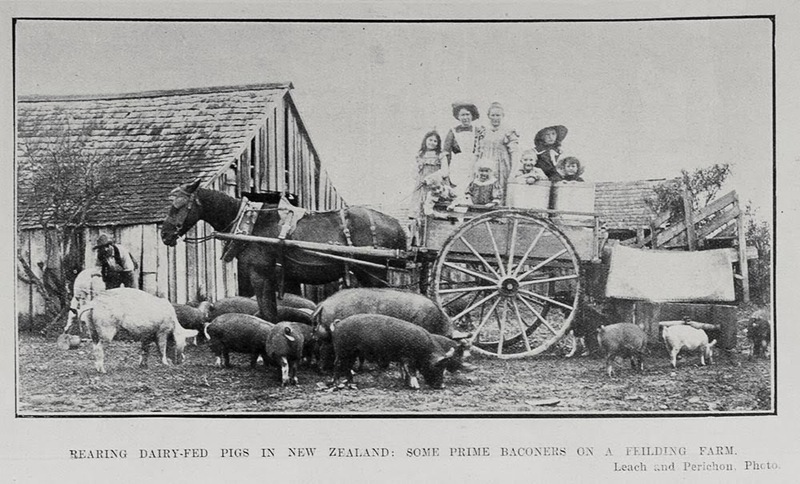 In NZ, early explorers brought with them a range of new food sources including pigs. 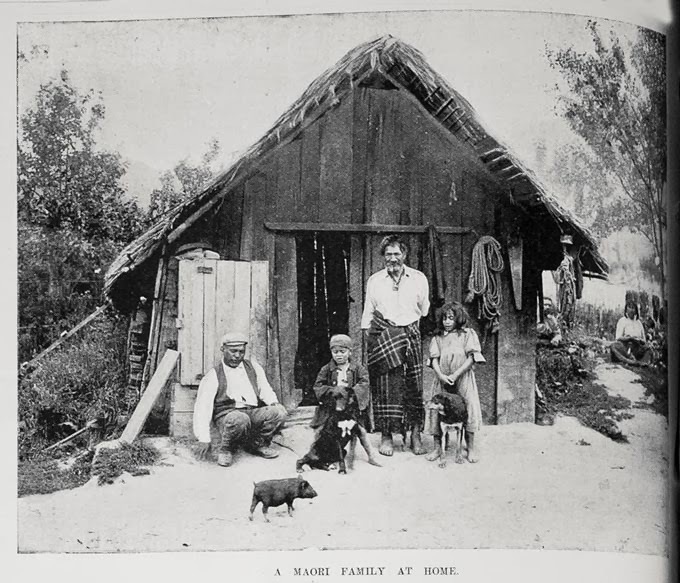 Pigs became an important food for Māori and were often gifted to other iwi. 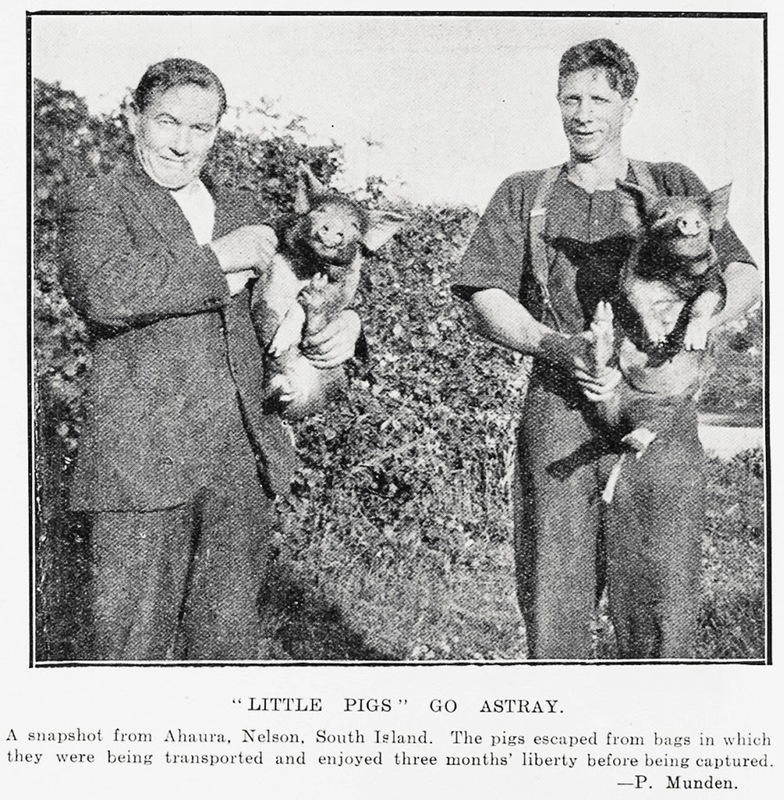 Pigs and baskets of potatoes were also used as a form of currency. 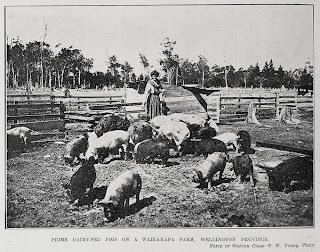 Further, feral pigs along with seals, goats, shellfish and roots were an important food source for shipwrecked castaways struggling to survive in remote parts of NZ. In Auckland pigs were farmed early on by European settlers. Including John Logan Campbell (later Sir) and William Brown, who ran a pig farm on Motukorea or Browns Island in the Waitemata Harbour in the early 1840s. 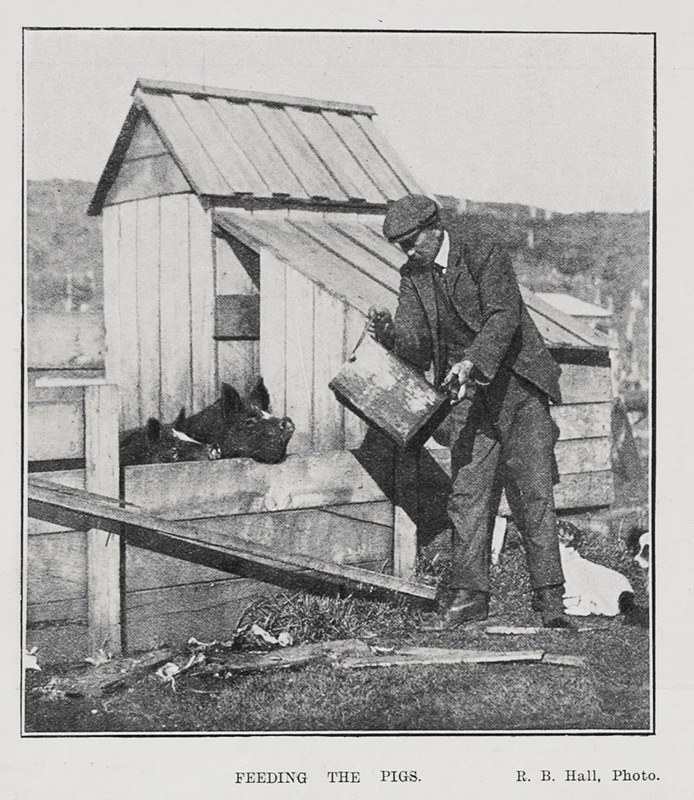 Generally speaking though, most pig farming was limited to the South Island until the mid 1880s. 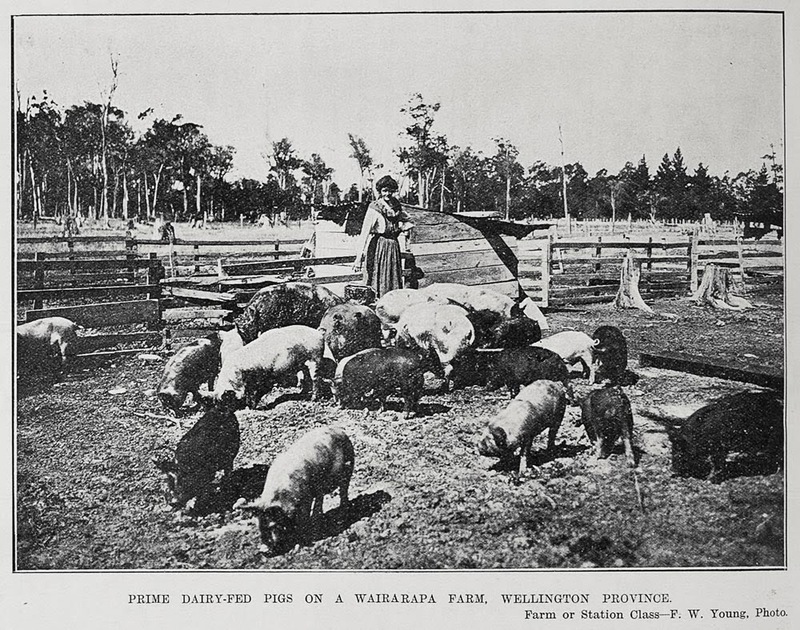 The pig farming industry developed alongside the dairy industry in similar locations such as the Waikato, Bay of Plenty, Taranaki, Manawatū, Southland. 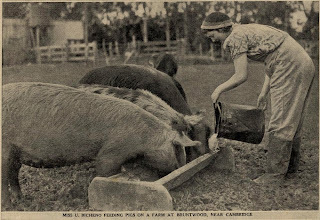 Pig farming remains important in NZ contributing to the country's economy through meat sold locally and overseas and employment in the industry. 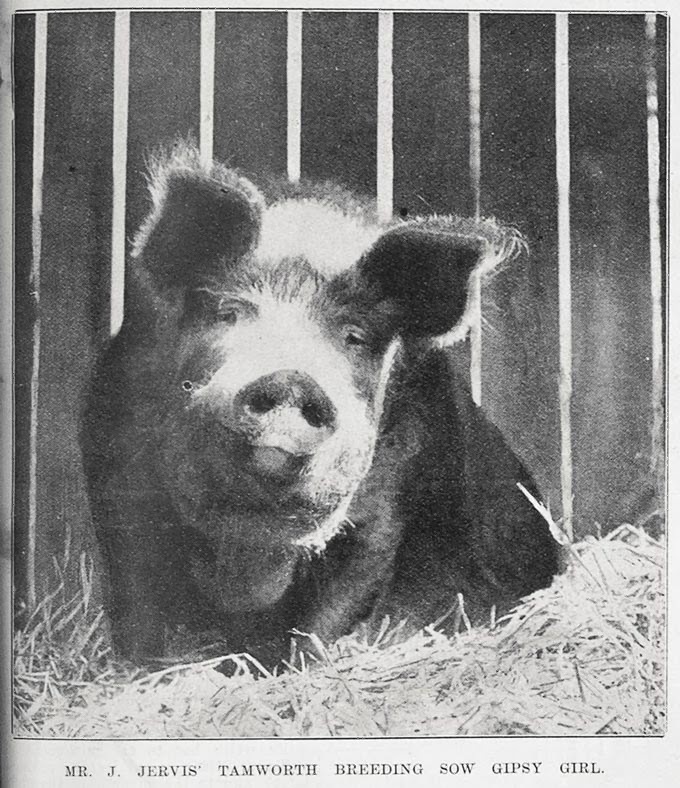 Take a walk through the pigs of yesteryear, drawn from the heritage collections at Auckland Libraries and think of the humble pig the next time you are about to tell 'porky pies'!